Plus Fusible Double Sided House – For use in Auntie’s Two pattern Leave The Light On ATP614. Packincludes 4 sides, 4 windows, and 6 roof pieces. You will need the pattern to complete. 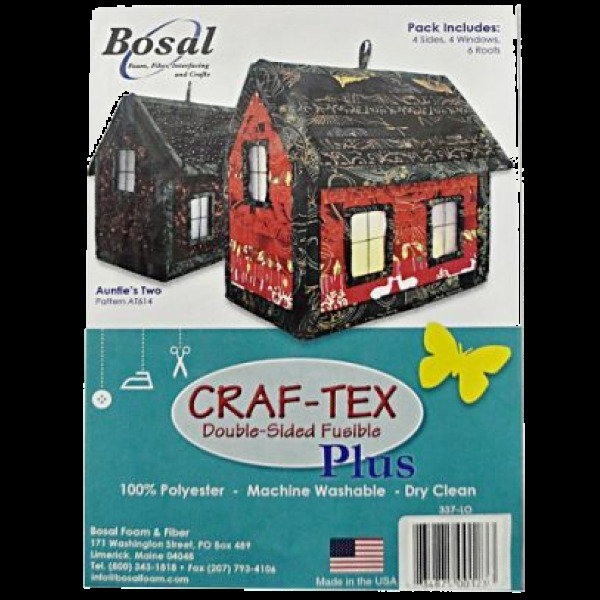 Bosal Craf Tex is 100% Polyester non-woven stabilizer, great for general crafts, handbags, totes, fabric boxes and bowls, placemats, costumes, accessories and more.